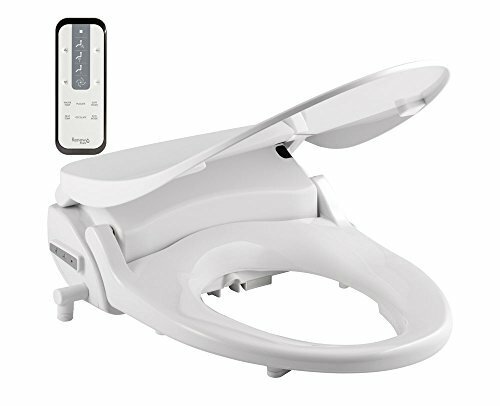 Bemis Renew Plus cleansing spa round bidet seat in white. Features adjustable aerated washes, continuous heated water, and 3-in-1 stainless steel nozzle. Intuitive touch remote control with custom user presets. Multi setting warm air dryer, automatic pulsate and oscillate wash functions, LED night light and automatic deodorizer.